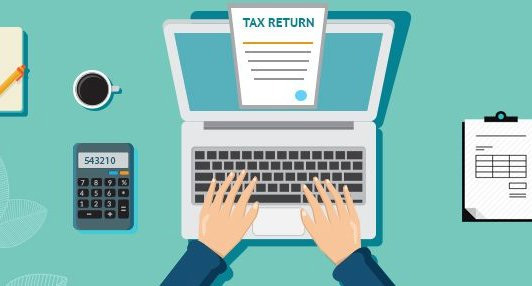 In current tax framework taxpayer need to record a lot of tax returns like administration tax return, extract return, vat return and so forth , therefore taxpayers need to give the greater part of their time in documenting these returns. Presently under GST they need to document less number of returns as there is single indirect tax law i.e GST. GSTR 1: Outward supplies made by taxpayer (other than exacerbating taxpayer and ISD) to be recorded by tenth of the following month. GSTR 2: Inward supplies gotten by a taxpayer (other than an exacerbating taxpayer and ISD), to be recorded by fifteenth of one month from now. GSTR 3: Monthly return (other than exacerbating taxpayer and ISD), to be recorded by twentieth of the following month. GSTR 4: Quarterly return for exacerbating Taxpayer, to be recorded by eighteenth of the month beside quarter. GSTR 5: Periodic return by Non-Resident Foreign Taxpayer Last day of enlistment. GSTR 6: Return for Input Service Distributor (ISD), to be recorded by fifteenth of the following month. GSTR 7: Return for Tax Deducted at Source, to be recorded by tenth of the following month. GSTR 8: Annual Return, to be recorded by 31st December of the following money related year. Each taxpayer either typical or aggravating taxpayers need to record yearly return with the exception of easygoing taxpayers, ISD, individual deducting TDS. Note: Fee for late recording of return is Rs. 100 every day, most extreme up to Rs. 5000.